The photo above has me in the center. Circa 1976- 1977. It has just been too long that sadly, I don’t remember the exact date. Where am I? At one of my favorite historic sites on earth. Historic Harriton House in Bryn Mawr. I think technically, my friends and I at the time, beat Chef Walter Staib into the kitchen there by a few decades. When we first moved to the Main Line from Society Hill, I missed the history and old houses of Society Hill. Yes, I was kind of obsessed by old houses even then. So neighbors introduced our family to historic Harriton House. 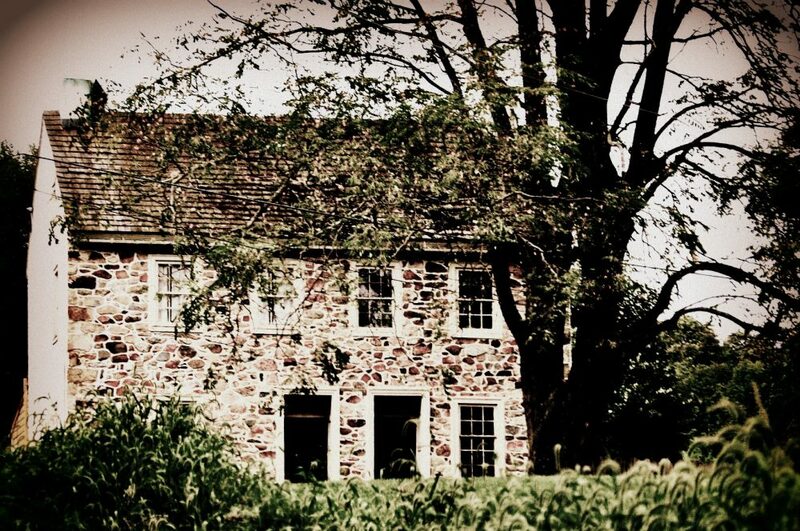 And as a related sidenote, Historic Harriton House is a remarkable story of preservation. I urge everyone to take the time to go visit. The site is a little slice of heaven. Before we moved from the city to suburbia, I also did something kind of historically minded for a kid. At 11, I was probably the youngest volunteer tour guide the Park Service ever had in Society Hill. I gave tours of the Todd House and Bishop White House. In Colonial garb with a little mob cap. How? Well my parents knew Hobie Cawood. Mr. Cawood was the Superintendent of Independence National Historical Park from 1971-1991. I wrote about this before. But this is just something I have always loved since I was a kid. Our history, our architecture, our old houses. I am not a new house person. I am a preserve the old house person. It’s just the way I am made. I am a realist and I don’t think every old house can be saved, but I think a lot more can be saved then are actually being saved. Whenever I have these conversations with anyone about historic preservation, I go back to my childhood in Society Hill. And the reason is simple: that area was a total slum when people like my parents as newlyweds bought wrecks of old houses in Society Hill for peanuts from the redevelopment authority in Philadelphia. My parents and their friends restored these houses with architectural details and hardware and windows and woodwork from houses that were too far gone to save. And as kids, a lot of the time we went with our parents when they were visiting these wrecks of houses to see what they could salvage out of them. And salvaging then wasn’t so much a big business as it was sort of a neighbor helping neighbor collaborative. People would give you the stuff out of the houses being torn down. It was a very different time. It was through these expeditions that I learned about things like shutter dogs. Busybody mirrors. Box locks and more. The details of historical architecture which have traveled with me throughout my life. This is where my love of old houses began. And it has been a lifelong affair. A lot of people don’t like my opinions. And I’m sorry they don’t share my love of old houses and history. But as Americans we have a magnificent history. And we can’t just keep bulldozing it away.